(Savannah, Georgia – April 2, 2019) – Great Dane today announced the establishment of three new flatbed trailer distribution centers located across the United States. The new locations include Trudell Trailers in Milwaukee, Wisconsin; Northeast Great Dane in Florida, New York; and Crossroads Trailer in Denver, Colorado. 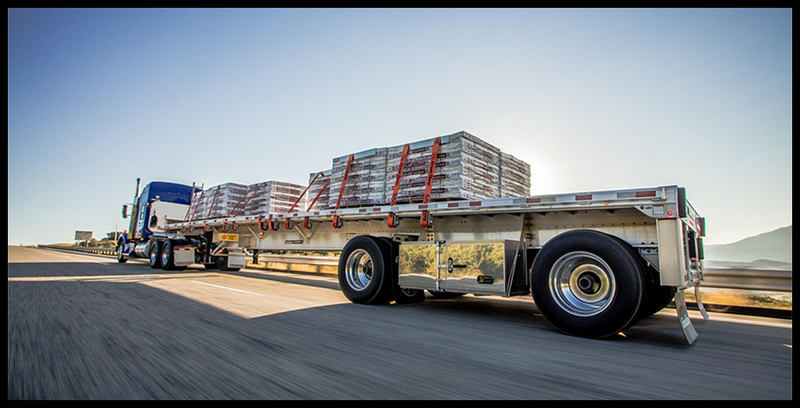 Freedom SE all-steel flatbeds available in 48- or 53-foot models with extendable options to 80- or 90-feet. Freedom LT steel-aluminum combination flatbeds available in 48- or 53-foot, straight or drop deck models. Freedom XP all-aluminum flatbeds available in 48- or 53-foot models and backed by the industry’s only 10-year warranty. A range of additional specifications are also available to choose from, including toolboxes, tire inflation systems, coil packages, cargo restraints and more. Great Dane spreads its stock throughout its branches, dealerships and distribution centers. The company also has the unique ability to pull stock from any location across its nationwide network in order to meet a customer’s specific needs. “In the flatbed world, customers want to be able to see, touch and purchase trailers right on the lot, so having stock on the ground is a top priority for Great Dane,” Monroe said.